Just kidding. Making the plan is one of the hardest parts. But if you’re committed to getting the most out of your experience, planning in advance is essential. No general goes into battle without a plan and neither should a blogger go to BEA without one. So get ready to do some prep-work. There are a few ways in which you’ll want to plan to spend your time at BEA: the autographing area, in booth events and special events. Danny will go over them in depth below, and then we’ll cover how to plan your time. Okay, Danny, take it away…. There is a super large autographing area with around 20 tables. When you see it for the first time, it will remind you of the crazy thin and intricately woven line areas at large amusement parks. It is in this area that authors will come to sign in 30 -60 minute sessions. Do not bring your own books! They have a certain amount of books to sign, they won’t have time to sign any other books. So don’t even bother. Once those copies are gone, they are gone ;( This is where planning becomes essential. You’ll definitely need to prioritorize your signings, getting in line early for the most important one for a given time slot, then running on over to queue up for the next one and if you’re really lucky, hitting the line for a third. But, if you know you absolutely HAVE to meet a particular author, be prepared to line up early! Some of those lines can get very, very long and you might end up not getting a signed book (this doesn’t happen often but it does occasionally, so consider yourself warned). This of course, depends on how important that author/book is for you. For instance, Lisa McMann’s line last year was crazy sauce!! We were happy to get in line early enough and that was the ONLY line we went through in that time slot, but at least we made it through. Even though the lines can be long, one thing to keep in mind is… standing in line is never boring! This is where you have a chance to talk to the people around you! Last year, Heather, Pushy and I met SO MANY lovely, lovely bloggers while in line. For heaven’s sake, we’re all there for the same reason! So remember to take the opportunity to make eye-contact with your queue-mates and possibly make a new friend!! Apart from the Autograph Area, selected signings also take place at the publishers’ boothes directly. Last year, for instance, Lauren Kate only signed her books directly at the booth. Most of the time, this will be on the BEA schedule but things change fast at BEA, so you’ll want to keep your eyes open as you wander amidst the publishers’ boothes. They often have special announcements flyers up indicatating which author is signing in-booth and when.This is, by the way, how we found Kristin Painter last year. We didn’t have her on our radar yet, but seeing the sign at the books caught our interest. 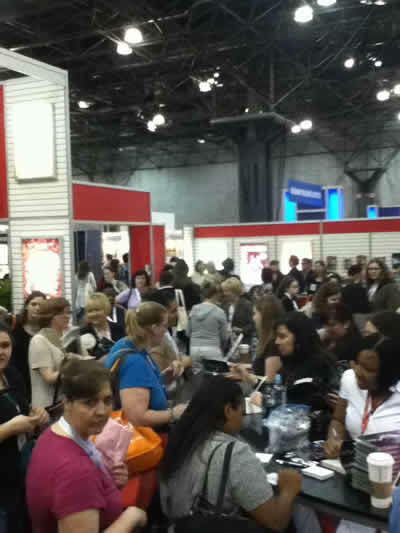 The crazy and most awesome in-booth signings last year happened at Harlequin. They often take a bunch of their awesome authors and let them all sign at the same time. It’s crazytown excitement!!!! So, once it’s your turn you can meet them all one after the other! I loved them. But, be warned – be there early – like really early… I came last year and I was stunned to see such a loooong line.. Especially with Julia Kagawa, Amiee Carter, Kady Cross and Rachel Vincent all being there this year, this is a must for all of us YA lovers! Books are not always “lying around” waiting for you. The publishers do “Galley Grabs” during the day at specific points in time until all the books are gone. Meaning, in the morning they have a certain amount of Galley’s for Book X and once they are all gone, they are gone! McMillan already published their schedule of which books will be dropped and when. This is SOOOOO nice, since you know before hand which book you desperately want to grab and which is not so important. Publisher’s Weekly also published a list of all Galleys which will be available at BEA 2012. Seeing this list, makes me even more excited to go. There are some awesometastic Galley’s like Carnival of Souls by Melissa Marr, Crewl, Poison Princess by Kresley Cole and so much more! Not every publisher makes such a list available before, sometimes you just need to be lucky and hear about a Galley Grab or you just happen to be around. But one great way to find out about them is to chat up the folks in the booths. If you catch them at the end of the day, when they’re not quite as busy, you can often strike up a conversation about the books you love and find out what they’re planning on dropping the next day or later on in the week. Plus, if you’re really, REALLY lucky, they might have some gems “left over” from earlier in the day that they’d be willing to bestow upon you. So remember, BE NICE to the folks in the booths. They might be tired and crabby but if you put that good energy out there, sometimes it comes back to you in the best ways possible! And please, don’t ever grab more than one book! It’s rude taking more than this, and also “getting it for a giveaway” is not an excuse. There are tons of people there who also want this book, so be fair and grab one! Remember, put good karma out there folks! ..or how to navigate the navigate the BEA website. 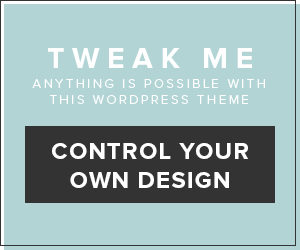 Click on the image to enlarge! Both Pushy and I scanned through all the authors listed, both last year and this year, and added all of them that seemed interesting to our lists. If you register and log in, you will be able to add events to your schedule right on the site, which is nice. I did it this way, but Pushy preferred to keep hers in a spreadsheet, obsessing over it as if it were her wedding seating chart all over again! You have to two ways to search, either by author directly if you know that an author you are interested in while be there. Like Julie Kagawa like in my example. 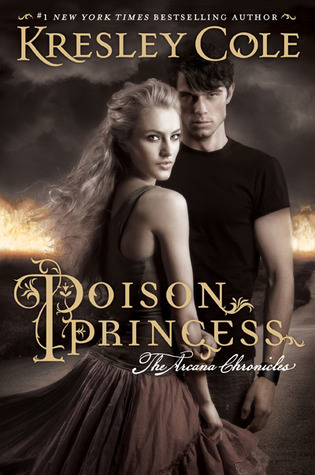 She will be there signing in the autographing area but also at two In-Booth Events at Harlequin. So chances will good that you will make it to one of her events. In addition, they have a Mobile App for iPhone and Andriod where you can also see the schedule you saved and out together on the website. This is actually pretty cool, since you can look up events and autographing events while you are at BEA. *Pushy pops back in* Whichever way you decide to plan it, make sure after you’ve made your list of everything you know your layout and begin prioritizing. THIS IS KEY! Last year I was so stressed about doing as much as possible, I pored over the schedule and the floor plan of the convention. This may sound a bit crazy (and let’s face it, it sort of was) but by taking a look at the map of the convention layout before hand and familiarizing myself with it as much as possible that first day, I was faster, more confident and just took a ton of the stress out of my day. Especially when the times got hard. And it was a great choice! I got to Julia’s like early, was second in line and nearly cried when I got a copy of her book (which I read every second I was not walking until I had finished it! ), busted on over to Anna’s line, got to fan girl ALL over her about how much I love her books and then decided to make a last ditch effort to go to the Harlequin booth as Maureen’s line was INSANE!!! Little did I know that Harlequin’s booth was too, but I had made a plan in advance and it let me stay in control of my day which made me feel so much better by the end of it! If you put some forethought into your days, it will definitely make your hard choices a little easier. So, this was all about how to schedule your day at BEA. This is of course not all of it, but packing more into this post would have been to heavy (or heavier than it already is *wink*). Got some question? shoot! We would be happy to answer whatever we can! Much Love and … see you at BEA! Wow…such a great post! Danny & Pushy you’ve totally put things in perspective and I know I will be taking your advance. I’m totally excited now!! Look forward to reading more of your BEA post and hope to see you guys there!! I hope to see you too!! Will you be at BBC? Hey Danny! Unfortunately not, but I hope you guys on the floor!! I’ve been playing with the schedule for the past few days. How early do you tend to get in line? I believe John Green is signing around 10:30 on Wednesday. I wonder what time I should get there. I really hope they’re going to have copies of Richelle Mead’s Golden Lily. And Diana Peterfrund’s new book. Among so many others. Did you go to the Children’s Author Breakfast? I wonder if it’s worth it. $50 or so isn’t that much, but I don’t want to pay the money just to hear them talk. If I got an autograph and/or book out of it, I’d be more interested. Perhaps I’m being greedy. Or cheap. I believe John Green will be crowded. Half an hour earlier I would guess. But, have a look earlier at the line and see if people are already lining up. I just saw yesterday in preparation for my post, that the Children’s Author Breakfast is already sold out. So, this takes the decision anyway away for you lool! Pushy and me were thinking hard wether to go or not to go and finally decided to skip it. I haven’t rea John Green’s book, but the guy from Glee would have been nice to see. In any case, you get a Goodie Bag when you go to these events. So this money is not wasted. Last year, there was a drop of Bloodlines and it was incredible!!! People were crazy when they were giving out this book! Did you hear about the infamous “biting” incident last year? This happened when at the Bloodlines drop. In any case I would LOVE to get get a copy of Golden Lily! Can’t wait! You know how much I adore you!!! Specially when you find us cute :)) We love hearing that hehe!!! We just fit perfectly together! I love the Harlequin Mass signing even though the line was incredible and horrible.. This year I know better and be there EARLY!! I can’t miss those awesome ladies.. I just can’t!!!! Rachel Vincent is just incredible and I am sooo excited seeing her again!! Great post girls 🙂 !! You’re so lucky to meet all these wonderful authors, I really wish I could meet Julie Kagawa !! I’m going to Paris this weekend for the Welcom to Mystic Falls convention and I’ll meet Ian Somerhalder and Paul Wesley : I’m super excited ! There will also be Amy Plum and Rachel Caine there so I’m pretty ecstatic !! OMG… like.. Oh my Freaking God… you are going to meet Ian fu** Somerhaler?? I would pass out.. like seriously pass out!! He’s so freaking hot..
Ok, back .. *sigh* you will have a blast my friend and I can’t wait to hear about this!! sooo awesome!!! BEA is almost here! Thanks once again for doing this! It really means a lot. I am working on my schedule every chance I get and it is packed. There are so many authors I want to see and I just can’t wait! Thanks for the link to the Galley schedule for Macmillan. I didn’t know they put that out. I’ve never been to a signing before and BEA is only part of my time at NYC. I plan on going to the Teen Author Carnival and two other signings in the city but I don’t know what to expect at these outside of BEA. Do I bring my own books at these events or what are they going to do? Thanks so much! See you there!! Oh Gina, I didn’t know about Mcmillian myself – I just found this when preparing mys post yesterday! But it’s so good to know! We will talk about those events next week, but we will also go to the Teen Author Carnival!!! And it totally depends on where you go for a signing. For instance at Scholastic, you can’t bring your own because it’s always too crowded. At Book of Wonders you can, but you should at least consider to buy a copy there. Teen Author Carnival, I have no idea! But, I will find out for you and let you know asap! I know they have Books there, but not for all who will attent! SO EXCITED GIRLS!!!! Only 2 weeks left and then I get to see your gorgeous faces:) And thanks for the heads up on the WAKE galley drop, I had no idea Macmillan had a whole list of their drop times. Win. 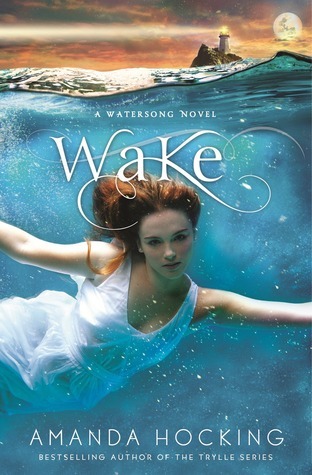 Actually, Wake is the only Galley I’m interested in. Sooo.. this means we have to get that in our schedule my friend!! SOoooo FREAKING EXCITED.. I can’t wait.. seriously it’s worse than as a kid before X-mas.. way worse! Danny recently posted..BEA2U – Scheduling your visit at BEA! Do you have to be at BEA to get the galley drops or can you pick them up at home? Yes Heidi. I’m sorry I didn’t make myself clear on this. Those are actual, physical copies that will be displayed at the Booth at BEA, but only at a certain time like 11 am on Wednesday for WAKE – this is the “nearly” the only time during BEA where you can get this book. So yes, you have to be at BEA for this. You guys are great! And so organized! I just started working on my schedule but am freaking out b/c I have no clue how I am going to find anything in there. I saw the “map” on the BEA website but it is too tiny to actually read anything! And if I blow it up and print it will be the size of my car! Waaahhh, I live about an hour away and I can’t even make it. I’m disabled and, since it’s during the week, there is no one to go with me. I will live vicariously through all of you though. Take lots of pictures! Your guys are so freakin’ adorable!!! Thank you SO much for this post! I was just starting to bug out yesterday over trying to make my schedule work for the one day that I’ll be going! and because I have to get my kids off to school first, I won’t be getting their until 11, I hope in time for the Wake drop, eeek!!! I hope to see you guys!!! I look forward to your next post, Danny and Pushy 🙂 hugs! This made me think of Wordstock which is our book festival thingy here in Portland. I obsessed over that booklet for days and schedules every single second of my day and knew exactly where I needed to go. But then I got there and second guessed myself thinking maybe I’d rather see so and so instead… Anyway, it was a MUCH MUCH MUCH smaller event and it was pure TORTURE deciding which things to do and which authors to meet. I’m pretty sure I would go completely crazy trying to make decisions at BEA! I think I would just pick a person that I would stick to like glue and do whatever the heck they are doing!